It’s officially time to kick-off the most exciting event of the month! 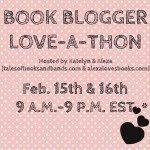 Bring out the confetti because Love-A-Thon is here! I’m so honoured to be co-hosting this event with Alexa of Alexa Loves Books, Cee of The Novel Hermit and Mel of The Daily Prophecy. I hope y’all are ready for all the fun, all the love and all the books you could possibly win. Bookish communities- the blogosphere, booktube and bookstagram are uniting to spread positivity and it’s gonna be amazing! To start, we’re answering the interview questionnaire as an introduction and to get to know all our fabulous participants. My answers are below but we highly encourage everyone to check out responses from other participants. I can’t wait to find out more about you guys! Hazel. I have a second name but you’ll never get that out of me. ;) More about me + random facts. Manila, Philippines where it’s almost always summer-hot, unless it’s raining. I started a personal blog on a different platform, Tumblr to be specific, but wanted a more established book blog. So I created one on WordPress. 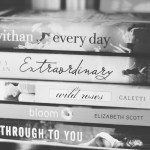 Thinking about why I wanted to blog, it came to me. Stay Bookish And it’s just perfect. I’ve never wanted to change my blog name ever. I’m a contemporary gal, always have been. I rarely review other genres. In my two years of blogging, I realize I come up with a variety of content but I’m very random. I share quotes, discussions, tips, soundtracks, recaps, photography, and pretty much whatever I feel like. I like to keep my focus on books and blogging but sometimes I talk about my life too. Last year’s BEA for sure! And speaking at the Blogger’s conference and on a panel workshop at my local bookstore. The connection between all of us. It is very real (though everything began online) and I realized that when I met up IRL with fellow bloggers locally or elsewhere. It’s just amazing! I’m excited for the upcoming releases of some of my most favourite contemporary romance authors: When We Collided, P.S. I Like You and The Unexpected Everything. I’m also looking forward to a lot of debuts but most especially The Girl Who Fell and The Way Back To You! Six Of Crows, All The Rage, Making Pretty, Vengeance Road, Extraordinary Means. I know- why haven’t I read them yet? Definitely this 2016! I wish everyone would read Melissa Keil’s books! They’re wonderful! I’d like to BFFs with Maggie from The One Thing. Maybe then I can have some of her sass. 14. Who would you recruit for your apocalypse squad? The Throne of Glass gang! Celaena, Aedion, Rowan, Dorian, Chaol. When I read Queen of Shadows, I knew I wanted to be amongst these characters should the world come to their end. They would not go down without an EPIC fight. Notebooks & Journals! And if you follow my Book in my Bag feature, you’ll know I love cute bags too! Midnight by M83. The line ‘Look and see her eyes, they glow’ just speaks to me! Whenever I put this song on, I always turn up the volume. Can someone write Jane The Virgin into book form please? Love that show. I have Pinterest board for that! Follow Stay Bookish’s board Book Shelf Love on Pinterest. Jandy Nelson. I would love to ask her all about her writing process and how she comes up with such beautiful and amazingly unforgettable characters and romance. You know, while sipping tea with utter sophistication. Updated as of Feb 21, 12pm EST. Many thanks to our generous sponsors for donating prizes. Best of luck to everyone entering the giveaways! Sign-ups will be open until midday of the 21st. 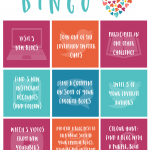 Join us celebrate the love for the bookish community! I was just looking at how many contemporaries I’ve read over the last year and a half-ish and I’ve only read about 11! So it’s funny to see the difference between reading styles because I looooove fantasy! Also, I am a bag lady, too. Too many pretty bags in the world to not want to collect! Although I haven’t read the Throne of Glass series (I know I should! ), I know they’re all just so badass, and they’re a crew that’s a force to be reckon with. I have Rowan on my apocalypse squad too but I switched up the rest of my gang. I want to read a lot more contemporary this year. I love it but I’ve been putting it aside a lot for fantasy over the past year and want to start picking up more of my unread contemp books! I love your dream library photos!! I really need to watch Jane The Virgin. Also, that pinterest board is the best. I can’t decide which bookshelf is better! I love contemporary books too! It’s my second favorite genre. ;) Yay for journals/notebooks hoarding! Don’t you just love how awesome and pretty they look, especially when they are book-themed? However, I always hesitate to write in them since I feel each one should only have special things written in them. Naturally, most of the ones I own are still blank, but I’m sure they will be written in soon. 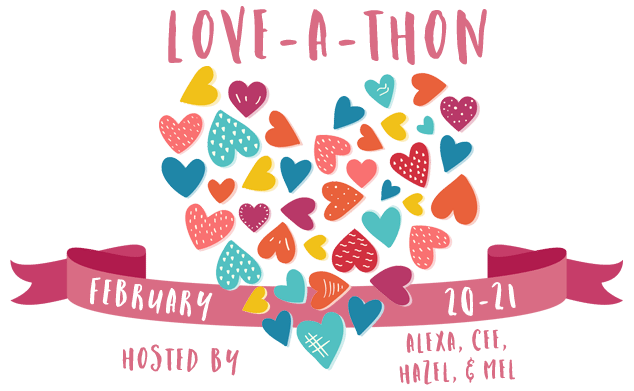 I am super excited to be participating in Love-A-Thon. This will be my first book blog event! I really enjoyed Six of Crows, and I hope you do too when you get the chance to read it. And your choice for apocalypse gang is spot on. I’m still on book #3 in that series, but I am definitely enjoying them. I tend to avoid contemporaries, so I only read a few. I think it was because I was reading a lot of those in High School. Right now, I prefer fantasy, sci-fi, and dystopia. YOU SHOULD READ SIX OF CROWS!!! That book is absolutely glorious! I am sure you'll love it! I am a contemporary girl too! I do like to read others, but I always end up reading more contemp than anything else! I am excited for P.S. I Like You, The Unexpected Everything, and When We Collided too. I recently read Six of Crows and liked it. Vengeance Road was SO good. I LOVE Midnight City. Such an awesome song! I am really excited for this Love-A-Thon. I’m looking forward to meating new bloggers (since I’m the new blogger myself). Omg, I like all those libraries on your Pinterest!! They’re just… amazing! I love unique review posts. The ones where they match outfits, makeup, songs, etc. with the books. Playlists for books are another favorite of mine. You also get to see more books at one time. Manila sounds like THE place for me. Always sunny, hell yes! If I think about you, I think Stay bookish. It’s such a perfect name, no wonder you never want to change it. Love your library board. Dying with how much I want a library like that. Contemporary is my second most read genre – but it is pretty close to my favorite which is Fantasy. Sometimes I get sick of one or the other so I switch. I also love buying bags! Thanks so much for hosting, Hazel! This is a very cool event and something I’d definitely love to participate in again. I’ve seen P.S. 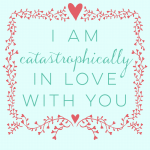 I Like You show up on several people’s posts today…I’ll have to check it out! I have a dream house and a dream garden board and even though I have 5-6 book related boards, I still haven’t started a dream library board! I’m going to have to fix that soon! One thing I love most about the bookish community is having a place where I can share my love for books with people who enjoy them just as much as I do! YOU MUST READ SIX OF CROWS BECAUSE IT IS AMAZING! Ahem. Now that I’ve regained my composure over that… I was so happy we got a chance to meet and hang out in person last year! That was super fun, and I hope we get to do it again sometime. I loved reading your questionnaire answers (and definitely think the TOG gang would make an excellent apocalypse squad). I’ve only read one book from your 5 that you missed, Vengeance Road. I LOVED it! I hope you enjoy reading it. I NEED to read Six of Crows and All the Rage too. (I even have copies of both of them. I should also read them this year, I am really looking forward to Six of Crows since so many loved it and I like Leigh Bardugo.) I hope you love all the books you picked. I love how many contemporaries you read! I really want to start getting back into them, they are such wonderful styles of writing to them! I miss them! That Pinterest board!? So following that soon, started drooling about a future house that needs a room like these! Your library pinterest board is GORGEOUS!!!! I’m excited to follow your blog and see what other great stuff you have to share. OMG Hello fellow Jane fan. I’m literally part of trio who all love Jane the Virgin. What do you think about the latest developments? Also ships? Is to meet other people who loves to read books. It’s a struggle to me to chat with my friends in IRL about books stuffs because they didn’t read. Hi Hazel! 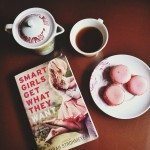 I love your dream library pinterest board!